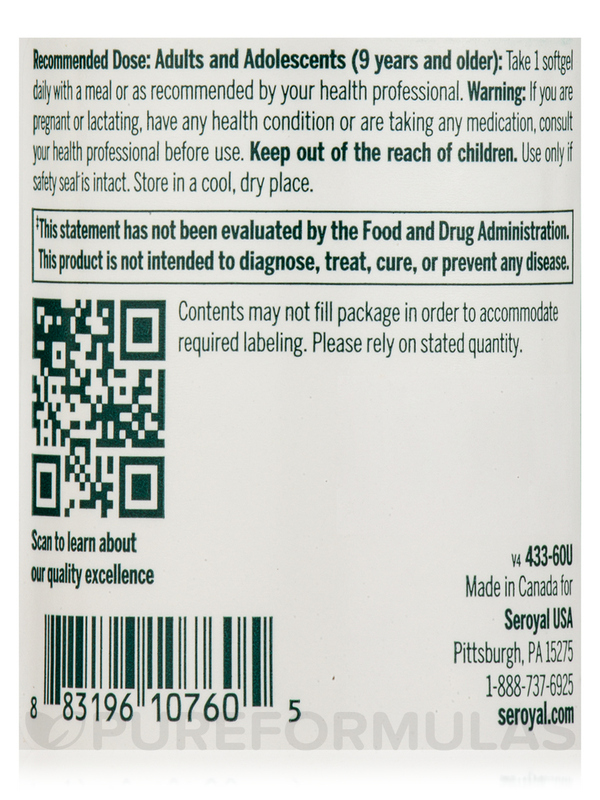 Cod Liver Oil DHA/EPA Forte by Seroyal is a convenient way to get essential omega-3 fatty acids. Omega-3s are essential fatty acids that may promote brain and heart health. DHA (docosahexaenoic acid) might provide some support for cognitive function and memory. At the same time‚ EPA (eicosapentaenoic acid) may work to alleviate certain symptoms associated with mild inflammation or menstrual pain. 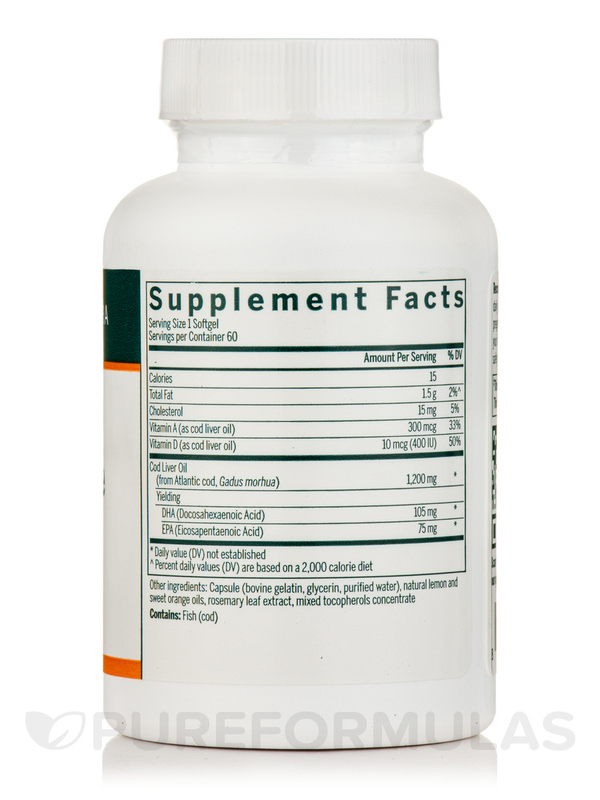 Both types of fish oil may help maintain a healthy cardiovascular system. 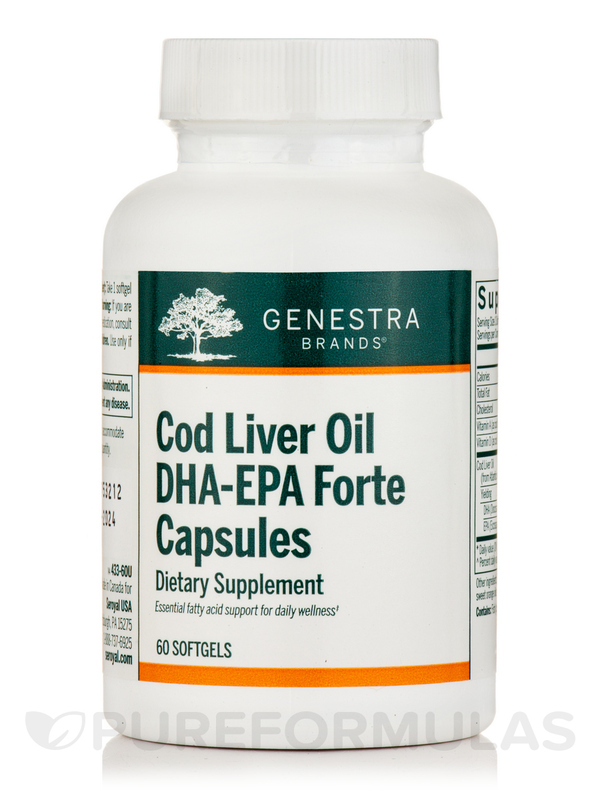 The pure cod liver oil in Cod Liver Oil DHA/EPA Forte also serves as a source of vitamins A and D. Vitamin A may provide support for immune cells‚ as well as healthy vision. Meanwhile‚ vitamin D urges the body to absorb calcium‚ which may help maintain strong bones and teeth; it might also play a role in supporting muscle and nerve function. 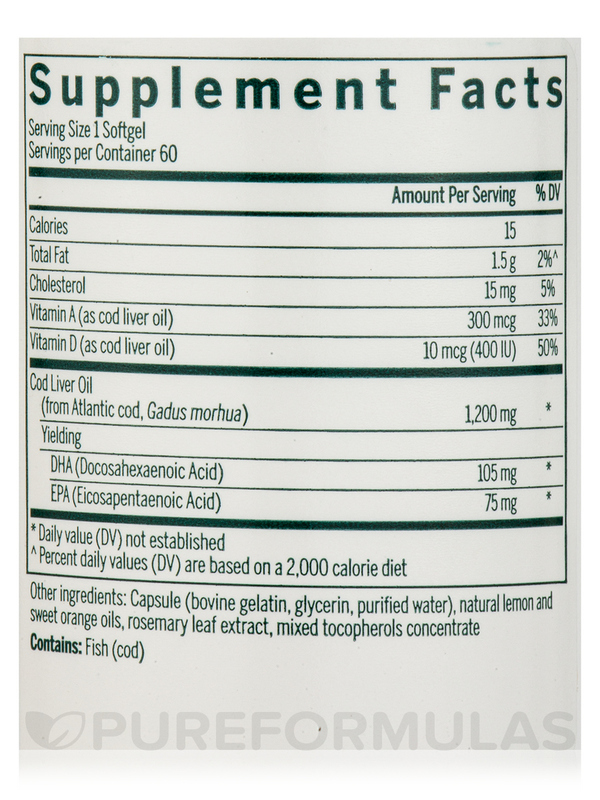 Each softgel capsule of Cod Liver Oil DHA/EPA Forte provides 165 milligrams of EPA and 180 milligrams of DHA‚ which are commonly found in fatty fish. At the recommended dosage‚ each 60-capsule bottle of Seroyal’s Cod Liver Oil DHA/EPA Forte should last for about two months. **Percent Daily Values (DV) are based on a 2000 calorie diet. Other ingredients: Fish gelatin‚ glycerin‚ natural mixed tocopherols. 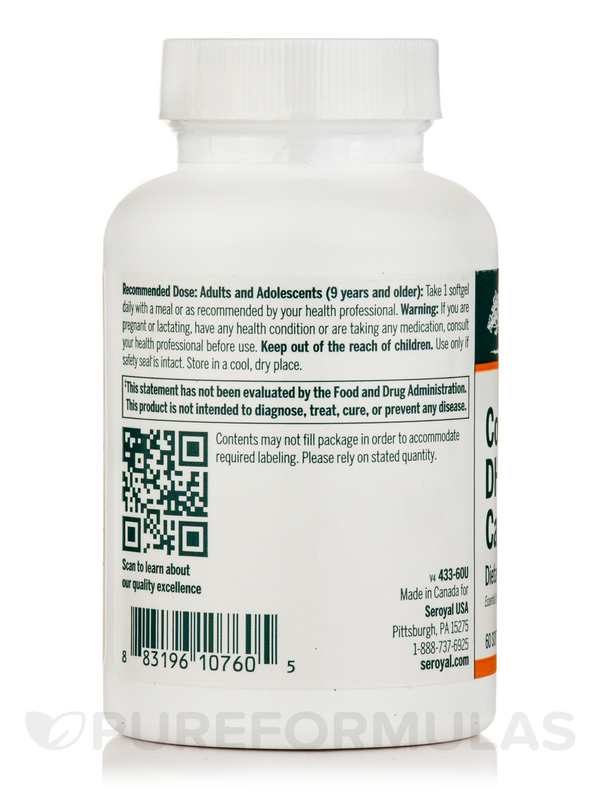 Adults and Children (12 years and older): Take one capsule once daily with a meal‚ or as recommended by your healthcare practitioner. Tamper-resistant package. Do not use if outer seal is missing or broken. Store in a cool‚ dry place. If symptoms persist or worsen‚ consult your healthcare practitioner.